Meet Russ Schutte. This fertilizer tower in Juda is where you will find him during spring planting and then again in fall. For twelve years, he has been the “face” of the tower. And what a great face it is! Have you ever known someone who always has a smile, is always approaching everything with a positive attitude, and definitely sees the glass as half full? Well, these qualities I just mentioned are the epitome of Russ. If you ask Russ what he does…this is what you will hear…”We feed the plants that feed the world.” WOW! When he told me that, I couldn’t help but grin from ear to ear. We DO feed the plants that feed the world- what an awesome way to describe Landmark. Even thinking about it now, as I write this, I feel excited to be a part of something larger than me. I couldn’t agree more- farming is a team effort- and I speak for all of Landmark when I say- thanks for partnering with us on this BIG journey! The facts on spraying safety! Growing up in a farm family, on a grain farm none-the-less, every spring season I constantly saw big sprayers applying products to farm fields in my rural community and on my family’s farm. Even as I studied agriculture in college, I never really knew what that spraying was all about. Well, for anyone who knows me, they know I like to ask a lot of questions! Growing up, every night after my dad came home from 16-18 hours a day in the fields, I’d bombard him with questions: How was planting today? How many acres of corn do you have left to plant? When can I ride in the buddy seat with you? and the questions went ON and ON and ON! There’s one question I realize I didn’t bombard him with: Tell me about the spraying that took place in your fields today? 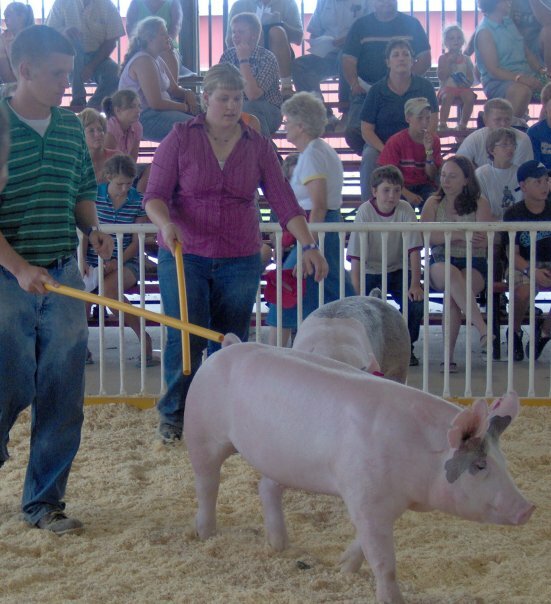 All I knew about spraying was that I couldn’t walk my fair pigs around fields that were just sprayed, for a day or two–but I didn’t dig deeper as to WHY that was the case! Now, as an adult, and just this morning I saw the fields next to my home being sprayed, and a few questions come to mind– such as when is it safe to walk on the road next to a field that has just been sprayed, or, when can I do yard work after the field next to my home has just been sprayed? Working at Landmark has afforded me the opportunity to give a call to one of my agronomist friends for them to help me answer those lingering questions! Alas, Al McGuire, Agronomy Territory Account Manager to the rescue! While visiting with Al, he shared with me that Landmark follows strict guidelines to ensure safety for everyone involved in and around fields being sprayed. All Landmark applicators hold custom applicator licenses and receive annual training on applying pesticides safely. 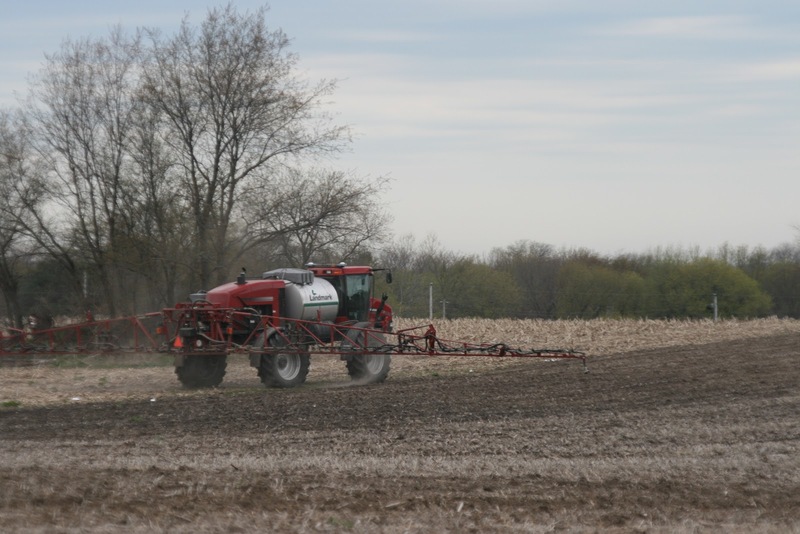 Landmark follows spray rules set forth by the WI Dept. of Agriculture, Trade and Consumer Protection (ATCP 29) and it is policy to only apply pesticides in calm weather and when there is no chance for any of the pesticide to leave the field being sprayed. The majority of chemicals used by Landmark have a restricted entry interval of 24 hours, according to the product label- this means no one should enter a field after it is sprayed for 24 hours. Al also shared with me that they communicate with the grower and landowner prior to spraying to discuss and mark sensative areas on the spray map, so applicators know those certain areas surrounding their fields. Furthermore, if conditions for spraying don’t meet the strict Landmark standards, the sprayers will not spray until it is safe for them to do so. After visiting with Al I have learned that our Landmark team works hard to ensure safety for everyone involved! I now know that I can feel safe on my walk tonight, as the products they sprayed in the field next to my home this morning are only in the field, and have been sprayed by highly trained and skilled experts. Knee High By 4th of July? Tips For a Successful Yield in less than ideal spring planting conditions! The buzz in the country is so debby downer. Hearing things like…”coolest spring on record”, and “this delay in planting could really impact yields again this year”…really made me nervous. So, me being me, I went straight to the horse’s, I mean agronomist’s mouth. Meet Joe Speich, Evansville Wis Landmark agronomist extraordinaire. 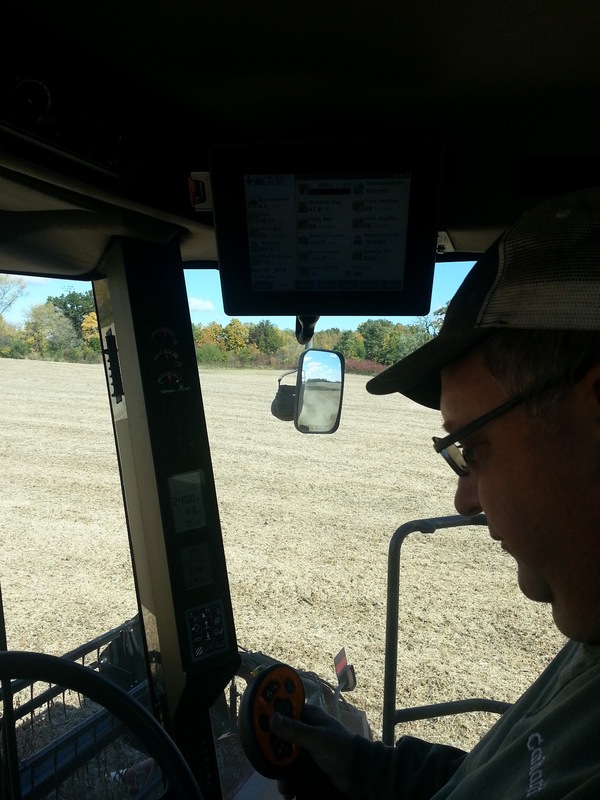 Joe invited me out to the field for a discussion on my favorite topic, agronomy (not really, I am being facetious!). But, I do enjoy learning new things, so I agreed. Thank goodness I brought extra shoes, because I am pretty sure high heels in soft dirt wouldn’t get me very far! There are five things a grower can do to position themselves for success. That’s good news, as I am the ever eternal optimist…so far I am glad I went straight to the expert! 1. Wait until soil temperature reaches 50 degrees F.
Planting corn in soil that is too cold can impact early seedling development. Speich says the optimal soil for corn planting is 50 degrees F because the warmth helps foster seedling growth. 2. Plant corn when average daily high temperatures reach 60 to 70 degrees F and overnight temperatures are in the mid-50 degree F temperature range for an extended period of time. With the delayed spring in the Midwest, temperatures have not reached this level for an extended period of time, meaning that soil temperatures have not reached the needed temperature. Watch the forecast for an extended period of warm temperatures before planting. Cold weather following planting can cause damage to seedlings by cooling the soil. 3. Do not plant before expected rainfall. Cold water can damage seedlings and reduce yields from the start. The most critical period of the growing season is the 48 hours following planting. 4. Be observant of soil conditions. Moisture levels in the soil impact seedling growth. Plant corn in saturated soil can be problematic. As a general rule, if the soil sticks to the depth-gauge wheel on the corn planter, the soil is too wet for corn planting. 5. 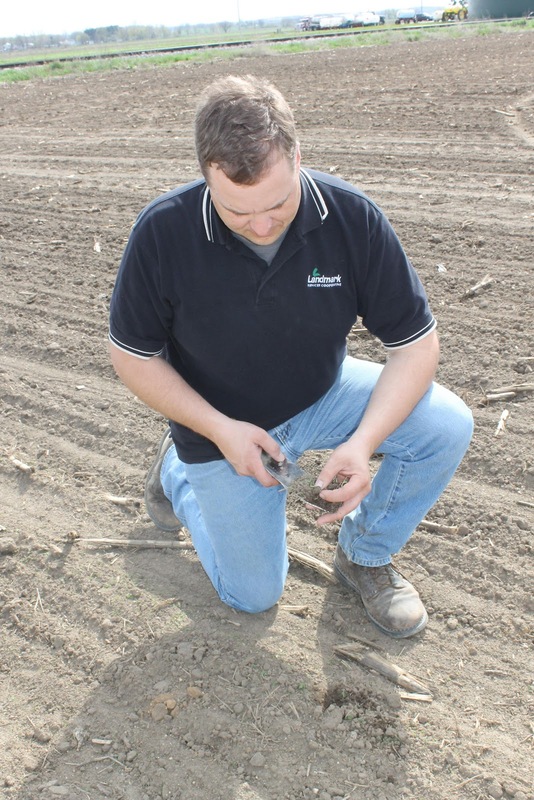 Work with an agronomist to create a planting plan. Fertilizers, growth regulators, planter box treatments and other additives can help promote early corn stand growth. Agronomists can determine a plan that works best for the field and the goals of the operation. For more information on spring corn planting, contact Joe Speich at (608) 751-4707 or Joseph.Speich@landmark.coop or visit www.landmark.coop. Plan for Success this Growing Season! With hopes that planters will be heading to the field soon, it’s important to do one last pre-planting check prior to turning dirt. Although the sun may be shining and the air temperature is starting to warm up, it’s essential to check for proper soil conditions and temperatures before planting. Also, make sure to plant at the proper speed, and check planting depths so the seeds are at the desired placement to get a jump start on maximizing the crops yield potential. As always, work with your Landmark Agronomist to review your plan for the year to prepare for a successful 2013, and most importantly– BE SAFE! 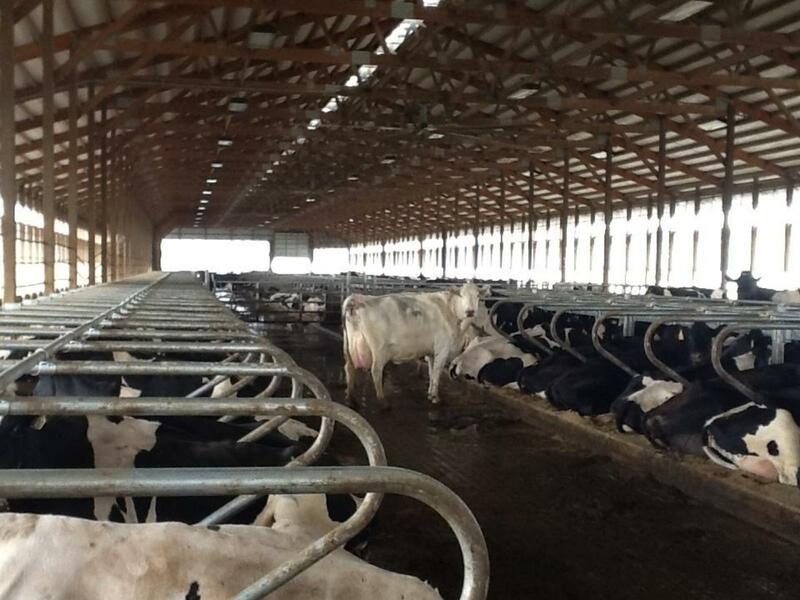 Three years ago Gary Davis of Sharon, WI housed his milk cows on compost bedding. It seemed like a good idea but proved to be challenging. “We couldn’t keep it dry enough, hot enough or thick enough. We just couldn’t manage it,” stated Davis. As we visited in the free-stall, Davis said, “You can just see the contenment. You can feel the (cows) happiness.” I couldn’t agree more, all of them were laying down and chewing contentedly. 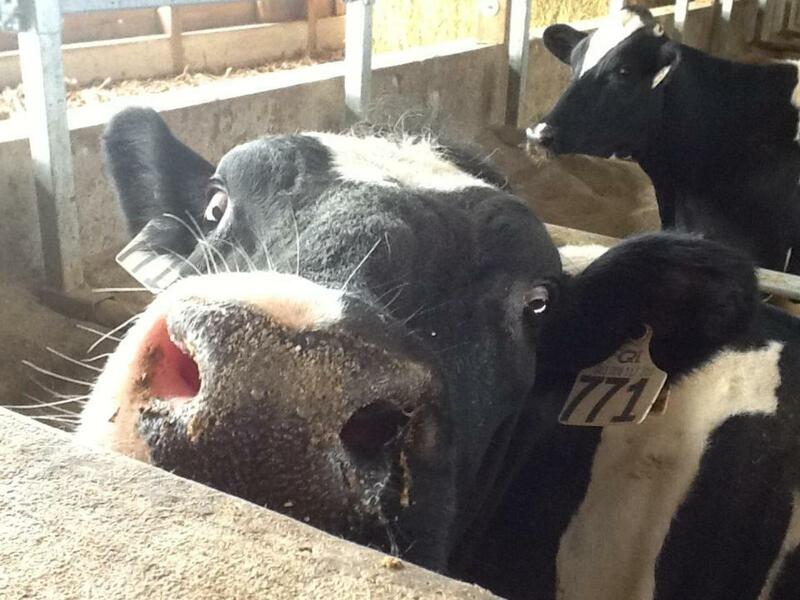 Since the new free-stall, milk has increased by 26 pounds per cow. 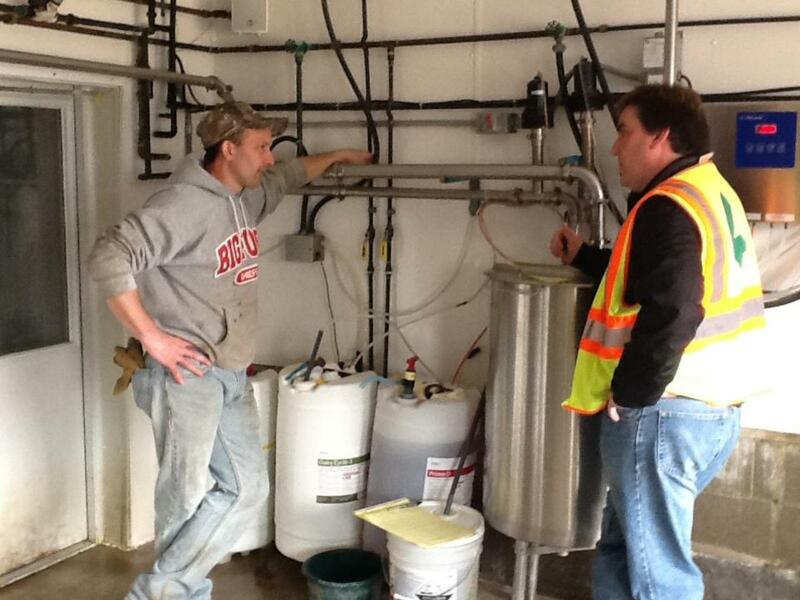 The proof is in the pudding, cow comfort fills your bulk tank! Another benefit of the new free-stall is herd health. The cows are reproducing, they are healthy and Davis’s cull rate is literally non-existent. 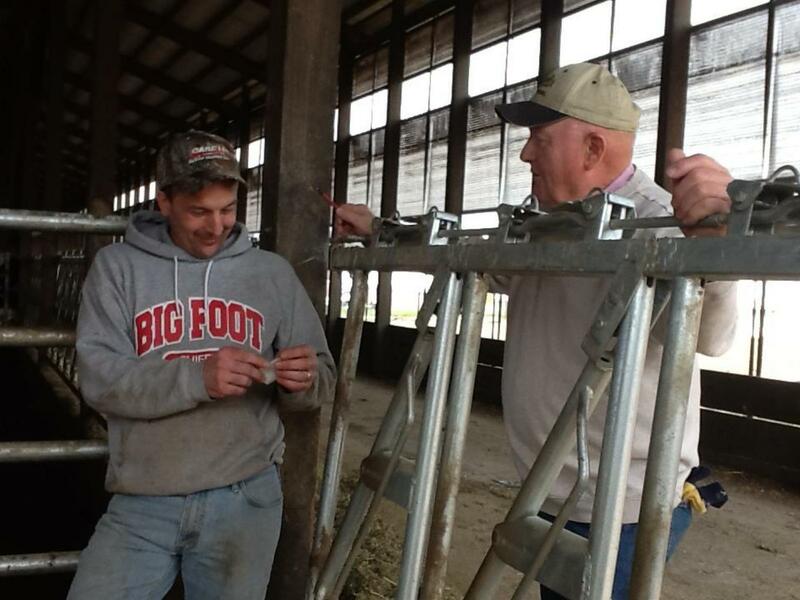 Visits from Raymond the cattle hauler (pictured above, right) are infrequent. I got to meet Raymond and his big personality, and even helped Davis get more money for the cow he was shipping. Raymond’s quote of the day, “I always appreciate a pretty girl.” Yes, I blushed, but I wasn’t sure if he was talking about me or the cow he was shipping! A girl can only dream. 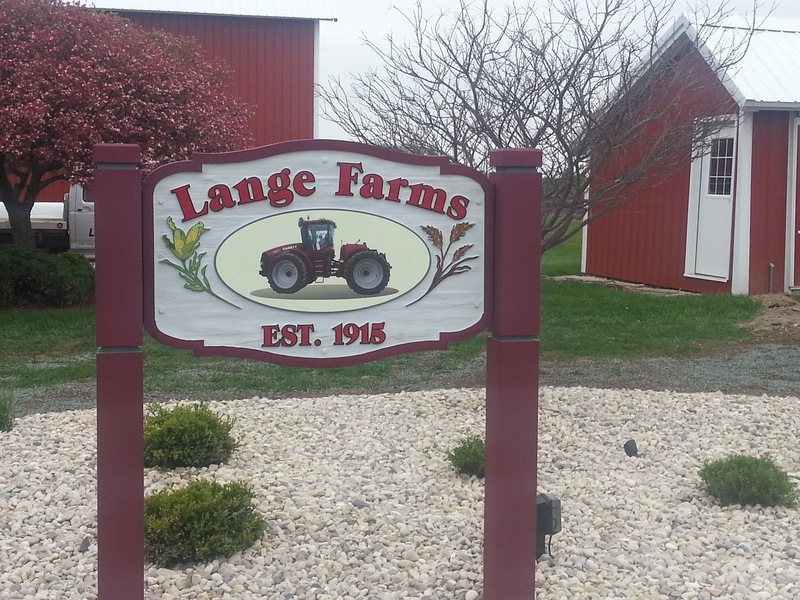 If you’d like more information about herd health or cow comfort contact Landmark Nutritionist, John Binversie at john.binversie@landmark.coop or 608.289.9802. 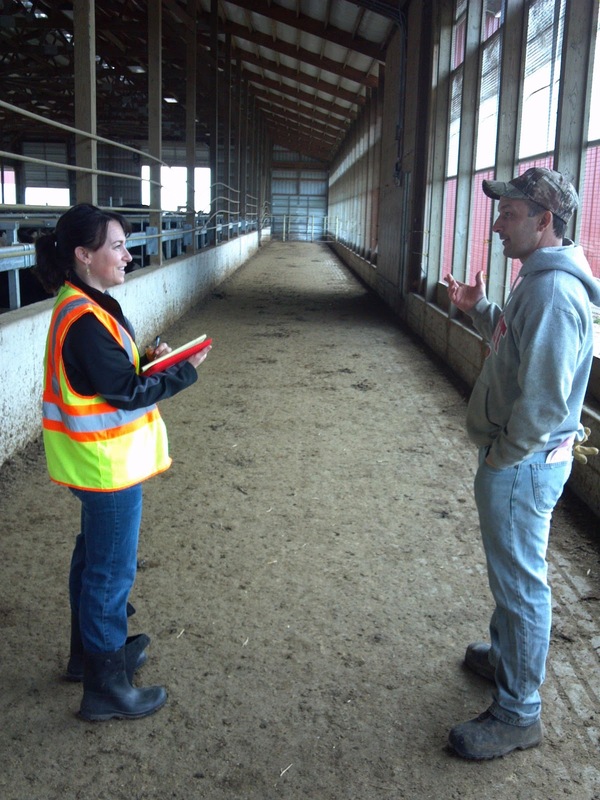 Cassandra Strommen, VP Marketing Development of Landmark is no stranger to the dairy farm. Strommen worked in Animal Nutrition for five years prior to her current role with Landmark. She has a passion for cows and all things agribusiness. If you’d like to get in touch with her or have a story idea, contact her at cassandra.strommen@landmark.coop.